Remember when we reported that Australian company Kogan Technologies was planning to launch an Android phone by the end of the year? 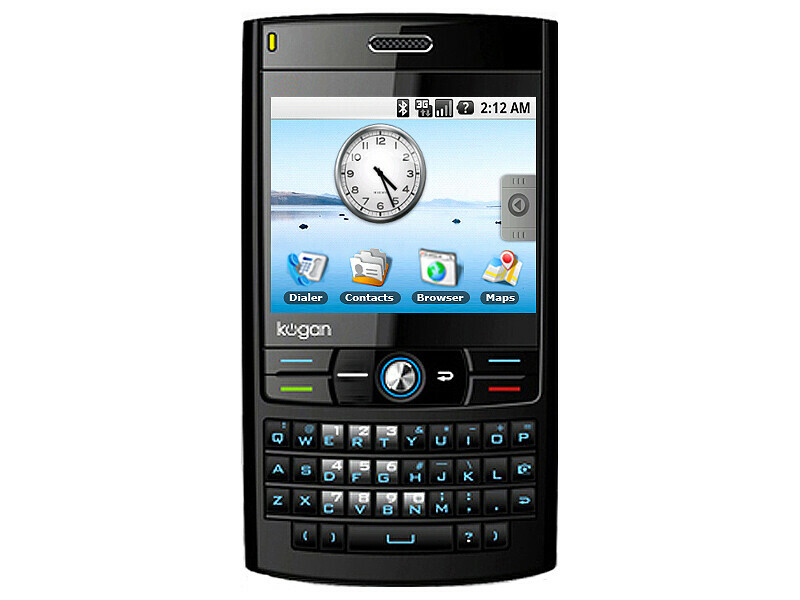 At the time, many wrote off founder Ruslan Kogan, however the company has formally announced the Agora and Agora Pro, the second Android-based phones in the world, and the first in Australia. The devices have price tags of AUD $299 (USD $192) and AUD $399 (USD $256) respectively, and they will be unlocked out of the box. Both phones include a full QWERTY keyboard, 2.5-inch touchscreen, microSD slot, and 3G connectivity, but the Agora Pro steps it up a notch by offering Wi-Fi, GPS, and a 2 megapixel camera to the feature list. They are now available for pre-order, and will start shipping on January 29, 2009. “Google is a key player in developing efficient and innovative online solutions for customers around the world. The open source nature of Android means the operating system will continually improve over time," Kogan said. It will certainly be interesting to see if this is the spark that lights the Android revolution. That is Dumb how does the second Android seem like a Down Grade from the first???? I was expecting something WAY more BetteR!!!! it is by other manufacturer! wtf. they look kinda gay. i expected the next Android phone to look cooler and have better stuff. but this is lame. You are a fool... YOU CAN MAKE ANDROID LOOK LIKE ANYTTHING YOU WANT!!! If you don't like it... make something better yourself you moron. Based off of this statement, every single music phone, windows mobile, palm, or other type of phone made by any carrier should look waaaaay better and have massively upgraded components coimpared to anything out on the market today. You are an idiot. Do some research, get educated and get a life! And you need anger management my friend because you are VERY ANGRY FOR?????? ?